Wenzel Select Properties has compiled real estate information on communities in DuPage County. Please check back, as we will be adding additional communities to our website. Darien is located 18 miles west of Chicago in southern DuPage County. It is ranked 27th among U.S. counties, with a population of 22,086 (as of 2010). The median family income is $91,880 and the average age is 43. Average home values in Darien are $265,000.00. Average apartment rentals are $763.00 monthly. 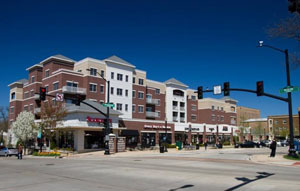 Downers Grove is located 22 miles west of Chicago and has a population of 48,867. It is highly ranked for their schools. Downers Grove was named one of the Top 10 Livable Cities for kids. Top 100 Places to Live and one of America’s Friendliest Towns. In 2015, the average median sales price of a single-family home in Downers Grove was $349,500. Read more about Downers Grove. Lisle is located just 25 miles west of Chicago in DuPage County. The village is known as the Arboretum Village. In 2007, Lisle was named one of Money Magazine’s Top 20 “Best Places to Live” In America. Lisle is part of the Chicago metropolitan area and the Illinois Technology and Research Corridor. Lisle has a population of 22,757. The median home values in Lisle are $274,794. Lombard is located just 23 miles west of Chicago in DuPage County. The Village of Lombard is home to the beautiful 8.5 acres Lilacia Park. The park has over 200 varieties of lilac bushes, 75,000 tulips, and other flowering plants. The median family income in Lombard is $86,739 and a population of 43,492. The median home values in Lombard are $241,700. Westmont is located 18 miles west of Chicago. It has a population of 24,941 residents. Muddy Waters (blues singer), and Ty Warner (Beanie Babies) are both from Westmont. The average median household income in Westmont is $57,547. Last year, the median sales price of a single-family home in Westmont was $273,600. Woodridge is located within Cook, DuPage, and Will counties. The Village of Woodridge offers a diverse range of housing including apartments, condos, single-family and luxury homes. In 2007, Woodridge was ranked No. 61 on Money magazine’s “100 Best Places to Live”. The median family income is $84,460. Average home values in Woodridge are $270,800. If you are looking to purchase a home in one of these communities, contact Wenzel Select Properties at (630) 430-4790.